In a few days, I am going to meet Neil Gaiman. As excited as I was when I first volunteered to work at his book signing, I am now, a week before, completely panic stricken. 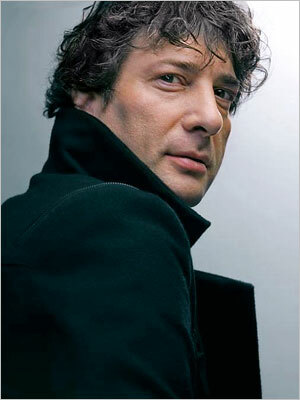 I mean, this is Neil Gaiman we are talking about. I keep going over the scenario. He walks in, I say, “Hi.” Maybe I’m the coffee runner. Maybe I’m the bouncer. Who knows? I haven’t received my job description yet. But that moment when I get to say “hi” is killing me. I can’t be too aloof because then I’ll seem like a snob. But if I’m too effusive, then I’m just a crazed fangirl. I don’t think there is any way I can get out of this looking good. I mean, this is Neil Gaiman we’re talking about. Of course, I have prepared. I started my I’m-Going-to-meet-Neil-Gaiman-Crash-Diet (it’s slowly working). I have my requisite black t-shirt in honor of his trademark black duds. I have my stack of Gaiman-stuff for him to sign: a book for my nephew, the Coraline doll for my daughter, my newly purchased Make Good Art book. 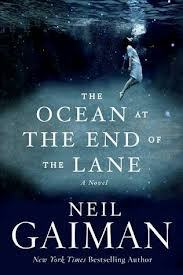 Plus the reason he’s on tour – The Ocean at the End of the Lane novel. But as a fan, I think I might be pathetic. See, I’ve seen Gaiman fans that put me to shame. I don’t have quotes from American Gods tattooed across my shoulders. I haven’t even read Good Omens. I watched the movie version of Coraline before reading the novel. And I skimmed one of the chapters of The Graveyard Book because I was starting to get bored. So I’m not a die-hard fan. But I am a fan nonetheless. There is something about Neil Gaiman that is inspiring. For some reason, when I listen to his speeches and snippets of his interviews, when I follow him on Twitter and read his blog, he seems so …accessible. Here’s a guy who is living the writer’s dream, loves what he does and wants other people to love what he does as well. I never sensed an air of pretension about it. Granted, I could be way off-base here. It’s possible that maybe, just maybe, he’s a jerk. So why am I so nervous about meeting Neil Gaiman? I mean, I don’t think he is so nervous to meet me. I think it’s because I’ve been thinking about this for so long, that when I’m finally there, it will be such a cosmic letdown that I’ll just feel like an idiot. I once met Billy Joel at a hotel on the beach. He was playing a concert that night with Elton John and though I wasn’t going to the concert, I pretended I was and spoke to him for a few minutes. Nice guy, by the way. But bottom line, even though it was Billy Freakin’ Joel, he was just a guy. A guy who sings really well and plays piano. And Neil Gaiman, he’s just a guy who writes well. I mean, this is Neil Gaiman we’re talking about here. Pass the rice cakes. I have a few more pounds to go. Just picture them all in their underwear.